This is a difficult long par 4 and a good one. 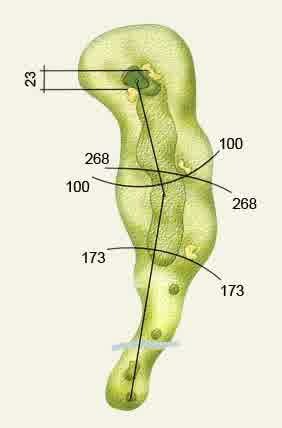 The drive, slightly uphill, has to be played on the right of the fairway to open up the hole for the second shot. For an average player, the length can pose problem. The green is well trapped by two bunkers in front and to the right side. 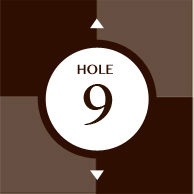 For most golfers, the approach is better played to the right of the pin. 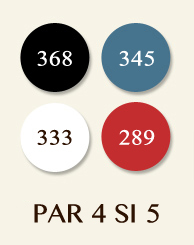 In this way, you could get by without damaging your score. The pros play a draw on this hole-aiming it to the right. The entire hole is lighted.